Drinking top-notch, artisan Piedmont wines doesn’t have to cost a fortune. While prices for Barolos and Barbarescos continue to escalate, the best Dolcettos, Barberas and Langhe Nebbiolos deliver tons of Piedmont character and pedigree at far more accessible prices. That is especially true of entry-level wines at the region’s best addresses. These are some of the finest Piedmont values I tasted this year. Most of the wines in this article retail for $25 a bottle or less. Dolcetto, Piedmont’s everyday staple, is a grape that thrives in warm vintages. Two thousand fifteen provided optimal conditions for the fruit to ripen evenly, resulting in aromatic, succulent Dolcettos that capture all the radiance of the vintage while maintaining a good bit of aromatic freshness as well. Don’t miss the 2015s; they are gorgeous wines. The 2015s are especially well suited to by the glass pours in restaurants, house wines and other informal occasions that require supple, fruity wines that can be enjoyed with minimal fuss. Readers are by now no doubt aware of the serious challenges posed by rain, cold weather and hail in 2014. The early ripening Dolcetto got the worst of it, but Barbera struggled as well. The 2014 Barberas are mid-weight, high acid wines with modest structure and depth. Readers will find only a few overachievers and large number solid, but not exciting, wines. It is a vintage in which to be selective, especially given that both 2013 and 2015 offer higher and more consistent quality. The 2014 harvest was saved by perfect weather during the last phase of ripening. Warm days, cool nights and dry conditions arrived too late to make a material difference for Dolcetto or Barbera, but the later-ripening Nebbiolo was able to take full advantage of the late season weather. 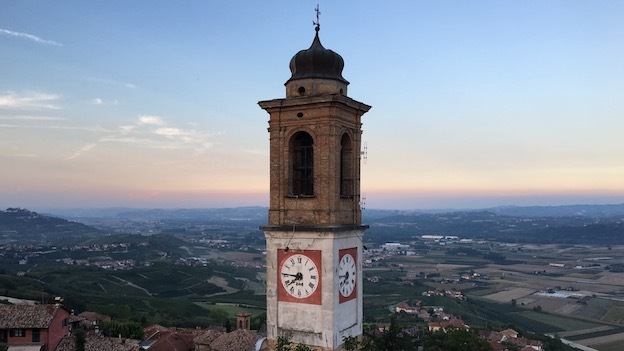 The 2014 Nebbiolos are bright, lithe and high in acid, a profile that holds considerable appeal for readers who have classically leaning palates. However, some wines also show signs of dilution. Two thousand fourteen is not an across the board success, but there are plenty of compelling wines waiting to be discovered. There is also no question Nebbiolo did better in 2014 than either Dolcetto or Barbera. The mid-weight, taut 2014 Nebbiolos will give readers a good idea of what to expect stylistically when it comes to Barbaresco and Barolo.